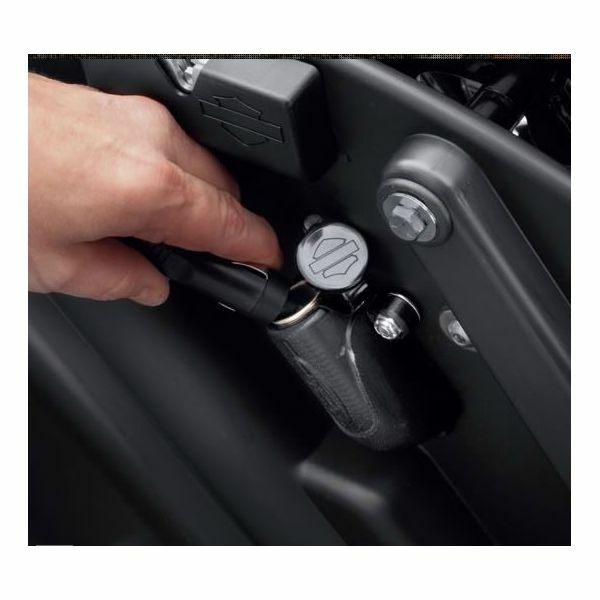 Charge your cell phone or portable music player from these handy saddlebag- or Tour-Pak® mounted 12-volt power port. 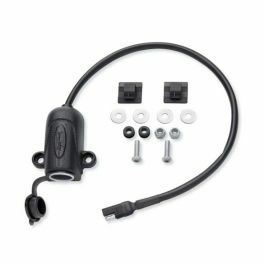 Conventional "cigarette lighter" style power outlet accepts most 12V automotive power adaptor plugs, and features a flip-top cover to protect the port while not in use. 69200091 fits models equipped with a 12-volt battery. Does not fit VRSC™ models, Throw-Over or Swingarm Bags. Not for use with accessory Fitted Liners or Premier Liners. Requires separate purchase of Battery Charging Harness P/N 94624-97B, if not already equipped.